The closest pay-for-parking lots are located on 1st between Vine and Wall and another on 3rd and Wall. Centrally located within the downtown corridor there are several bus stops and routes nearby including Rapid Ride and Express routes. Please contact at least 2 weeks in advance for pricing and planning. Thanks! 21+ ESTABLISHMENT. No Anchor is a world-class beer bar and Pacific Northwest restaurant in the historic Belltown neighborhood of Seattle. Our focus on fresh & local ingredients, religious dedication to sustainability, passion for serving others, & curated list of some of the most unique beer, spirits, and cocktails under one roof in the world make every visit a new & compelling experience. We know that in Seattle today you have so many choices of where you eat and drink, and we are beyond grateful any time you choose us. We ain't fancy--come as you are! All of our cocktails in some way feature beer or a traditional beer ingredient. Party on! old grand dad bourbon, old german lager, and a ltd edition koozie! Outstanding service! Our waiter was very knowledgeable and attentive. Food was excellent too. Great beer selection. Celebrating a special occasion with an intimate setting is great at No Anchor. I read of the establishment’s James Beard nomination in 2017, and have made it a point to visit ever since. We completely understand why it even received a nomination based off our experience, highlighting their recommendations in the short amount of time we spent there. Customer service was more than exceptional with the small chat and friendliness provided with our drinks. We splurged on the tasting menu and beer pairings and were so glad we did! I would highly recommend it. A few of the courses were some of the most creative and flavorful dishes I’d ever tried! 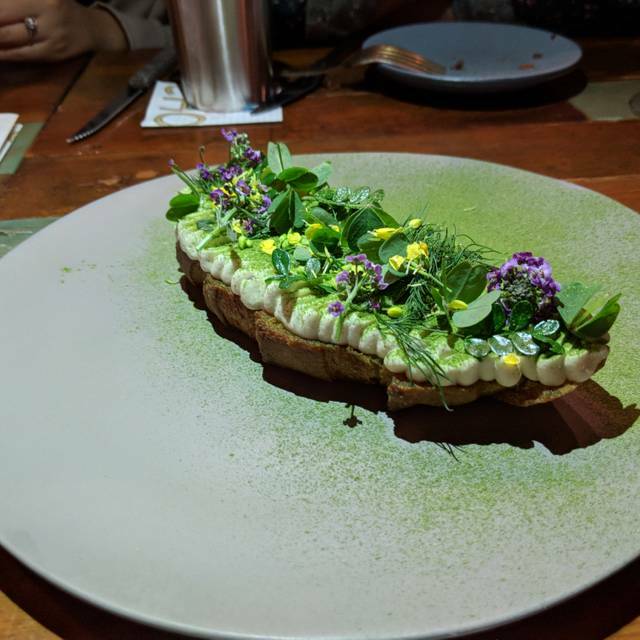 There was a radish and Parmesan cream dish that made me seriously question my cooking skills, and a gnocchi-like dumpling dish that tasted like the forest floor in the best possible way. My only regret was eating a snack a few hours earlier, because I was very full by the end. The bartender-servers were extremely knowledgeable and willing to help and offer advice, and never once came off as snobby. The next time we’re in Seattle we definitely plan to return! Amazing server that walked us through each part of the menus with deep knowledge and enthusiasm. Describing beer pairings like most would talk about wine. 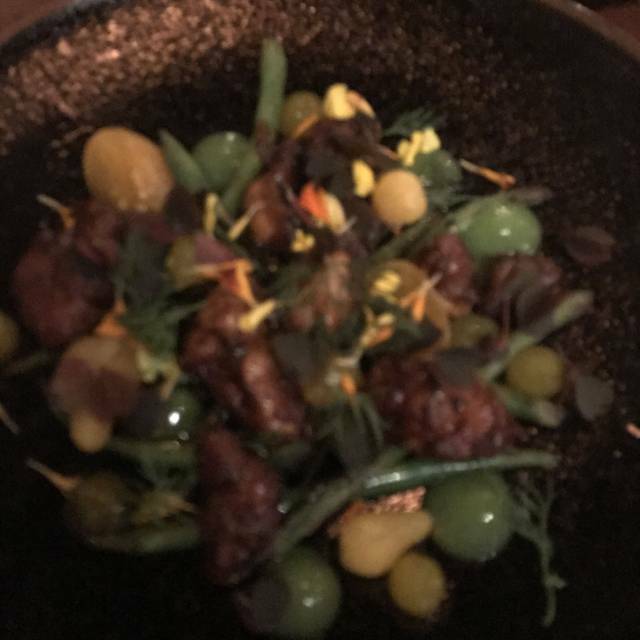 The food was unique and exciting to try. We left happy we tried each dish but not craving more -the mushrooms, the radishes, sturgent fish and duck. This place is so great. Hidden gem. My husband loves eclectic beer so we tried this place for date night. We were planning on ordering multiple courses and choosing beers to go with. We ordered 6 dishes and they brought everything out while we were still drinking our first drink. It all sat on our tiny table getting cold while we rushed to try everything. The person next to us complained about the same thing. Server said their kitchen was just “really efficient.” To me that means everything is pre made. Only dish worth having out of the six was the smoked sturgeon. Others were not good. I would go here to drink beer and listen to the music, never for dinner. This is not a restaurant, it is a bar with a limited menu. Really nice "cozy" place. Food is creative, small portions. Staff is fantastic. Great service. We had the mussels, tempura mushrooms and crab roll and it was all amazing. The servers were informative and attentive. Highly recommend it and we will be back. Great beer too! No Anchor is one of the truly great restaurants in Belltown (Seattle... the country?). The food, the pairings, the casual yet well-informed staff. It's pretty awesome. Friendly and knowledgeable staff made the experience great. Loved the food and drink pairings. This place is for real. 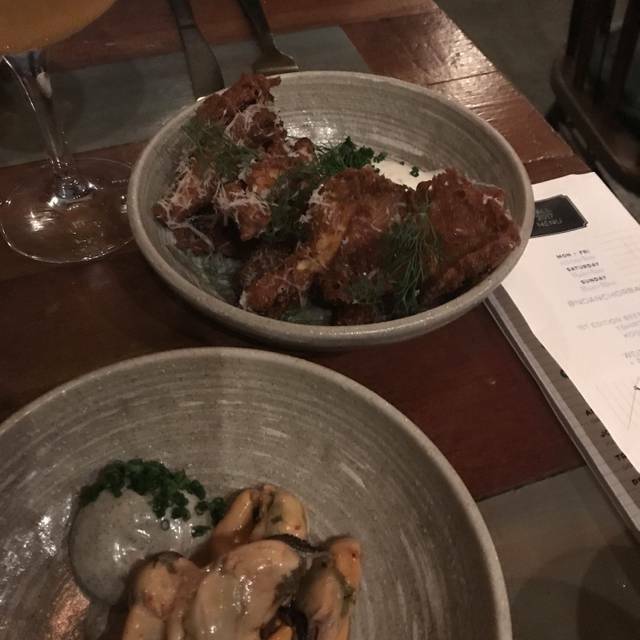 My wife and I were on a Keto diet (not fun) when we chose to dine here, which means we missed out on a lot of the fun (beer), however the experience was exceptional. The waiter was engaging, friendly, courteous, and incredibly accommodating of our (self imposed) dietary restriction. The kitchen prepared our food per request omitting many of the intended (carbolicious) ingredients, and yet everything was delicious and perfectly prepared. Highly recommend this place. We’re definitely going back to enjoy the full experience after we’re off this diet! While the menu wasn’t very extensive, the food was amazing. 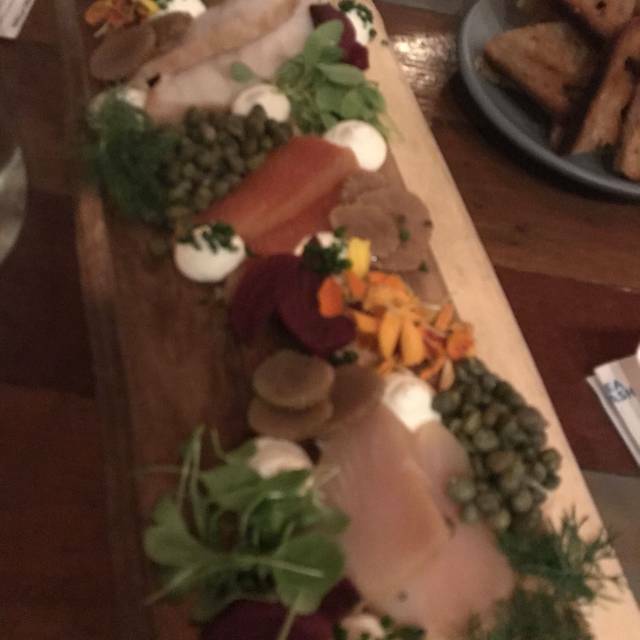 My husband and I loved the selection of appetizer boards and beer. The service was amazing. Our server was attentive, friendly and super responsive. 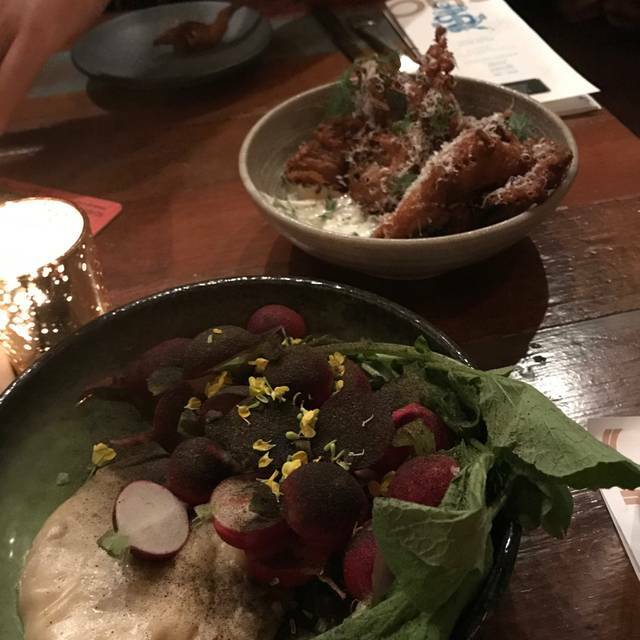 I would 100% suggest that picky eaters review the menu prior to choosing this location but if you are looking for a little bit of an adventure, some unique options and great ambience, I would highly recommend. Seating layout seems odd and results in seating proximity very close to others. Beer and cocktail list was good and varied, but kind of short. Food sounded interesting but lacked much depth or brightness of flavor. Service was attentive and good. Pricing was slightly high - everything seemed $1-$2 dollars more than it should have been. 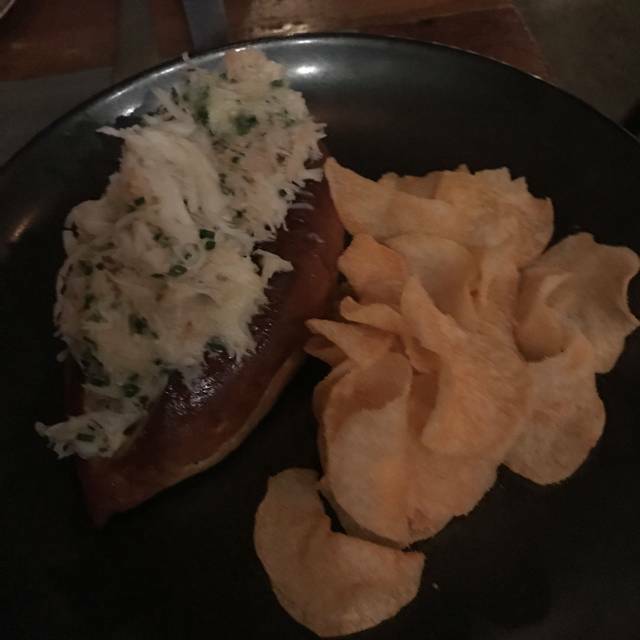 Lovely evening at no anchor, its cozy pnw vibes and great small plates to snack with friends. Definitely coming back for a revisit. Went for a winter weekend lunch on a windy and rainy day. Loved the warmth of the staff and the interior immediately. The look and feel is wonderful, with wood everywhere, warm cozy lighting, and great music that gives the whole place an edgy but relaxed vibe. Beer is a big focus here and well selected. Staff is extremely knowledgable, laid-back, and genuine. Last but not least, it's hard to go wrong with the food. Upscale ingredients and pairings with less posh pricing. Had sous vide duck breast, smoked trout toast, pickled mussels, and a shrimp roll. All textures and flavors were perfect. The James Beard Award is well deserved. This was our third time at No Anchor. We’ve had their tasting menu twice - both times beautifully presented, very interesting and delicious. The restaurant has a very casual look, the food would be at home in a much more high-end looking place. They offer a great selection of hard-to-find beer and will pair it with the food. Even the music was cool and different. I hope this restaurant sticks around for a long time! My granddaughter picked No Anchor for our annual market stroll and lunch during the holidays. We shared marinated castelvetrano olives - her favorite. She gave them a thumbs up and we loved the garlic chips - just wish there were a few more. 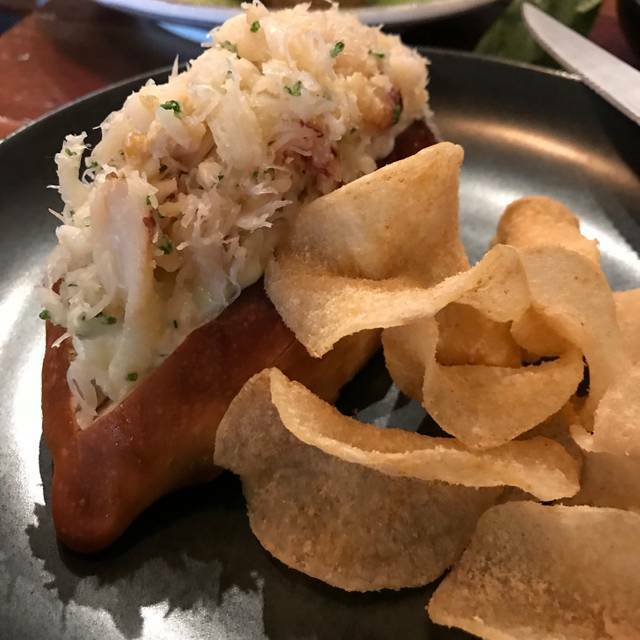 She had the charred eggplant on toast and i had the dungeness crab roll. Both were excellent. We didn’t try any of the special beers but saw others around us enjoying them. Our waiter was attentive, helpful and friendly. Great service. It was great - they had reserved a nice cozy table for us, and service was very friendly and helpful! Having been here several times, No Anchor had become one of my go-to restaurants for phenomenal food and excellent beer pairings—without pretension. The owners, chefs, servers, and bartenders clearly take their crafts seriously, but not themselves, and I’m grateful for that. The dishes are inventive, multidimensional in flavor, and intelligent/clever when playing with texture and aesthetic. The cocktails are beautifully balanced and I know I can get some of my favorite beers (eg, Holy Mountain, Urban Family, E9, etc. ), often local, with my meal. (Seattle needs more places like this where the hype is actually true.) Please keep up the wonderful work! The food at No Anchor was creative, visually beautiful and absolutely delicious. The staff was friendly and helpful. We went in late afternoon so they weren’t busy and really enjoyed our meal. The food is a little pricey but it’s great quality, you won’t be disappointed. Food, service and drinks were top notch. Rarely do you find a restaurant with such good beer and excellent food to match. This is a beer bar with gourmet food. Try the tasting menu. I generally liked the food; very flavorful. However I was not that happy about quantity. Prices were alittle high for the amount of food you got. the only entree that seemed like dinner was the duck which i would recomend. all the other choices were smaller yet not priced as a small plate. Beer was also a little expensive with few options many of which were 8 and 12 oz and not on draft. I did not fell they were as special as i would have liked for the price. Service was very good. i did not get a greast feel for their menu. Probally will not go back soon to eat. With all of the great options to eat this does not feel that exceptional to me. Excellent food and beer. Excellent menu for sharing. Food was good, service was good. Very overpriced. Interesting beer selection and creative small plates to go along. Just had time to check the cheese plate and the chicory salad, which was amazing! Staff is wonderful. Would definitely recommend. We will be back next time we are in Seattle. Great food, and service! Different and delicious menu items. Would definitely go back. Went with a group of six for my birthday. Could not have had a better experience. 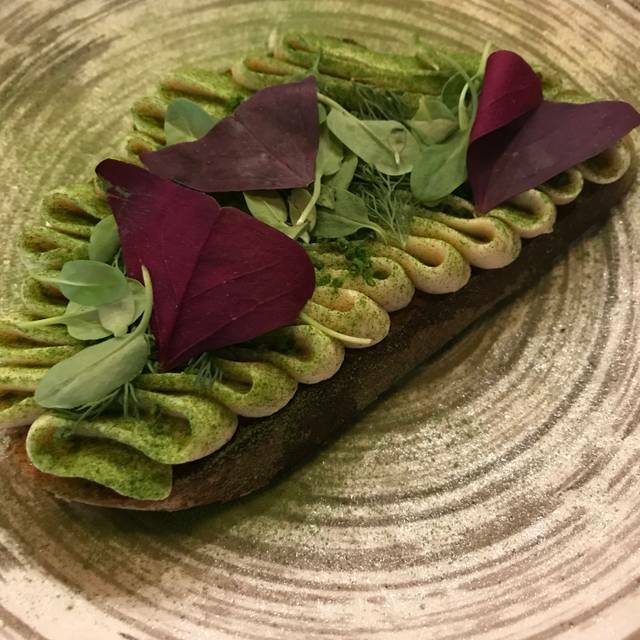 The food is unique and fabulous. We ordered lots of things to share. Beer, wine and cocktails were great (yes, we indulged in all). And can’t say enough about the service. Just the best! Elevated bar food. Service outstanding, they know their beer and what to pair with. But the food although creative, was overpriced Fried chickpeas were totally over salted, could not even enjoy them. If you like beer, definitely go but maybe eat elsewhere. We had a fun time at No Anchor. The beer menu is very unique, with a taste chart that we really enjoyed testing out. The food was interesting, and while we consider ourselves adventurous eaters, the menu and food presentation was a little to “out there” for us. Nevertheless, we had a great evening with exceptional service and would go there again. Husband and I were looking for a new place to try and were immediately drawn to the unique menu items and beer selection. It did not disappoint. The food is a bit pricey, but if you're not looking for a large meal and you can accept the price tag for small, but exceptional plates of food, this place is a great way to spend a night out--with a friend, family or significant other. One of the highlights of our Seattle trip. We foodies loved the expertly crafted food and great beer menu. We went for lunch, but I bet dinner is great too! What was originally thought to be a throw away meal was an amazing surprise. Between the interesting beers and the food I was extremely surprised and will return again in the future. That steak! Soo good! 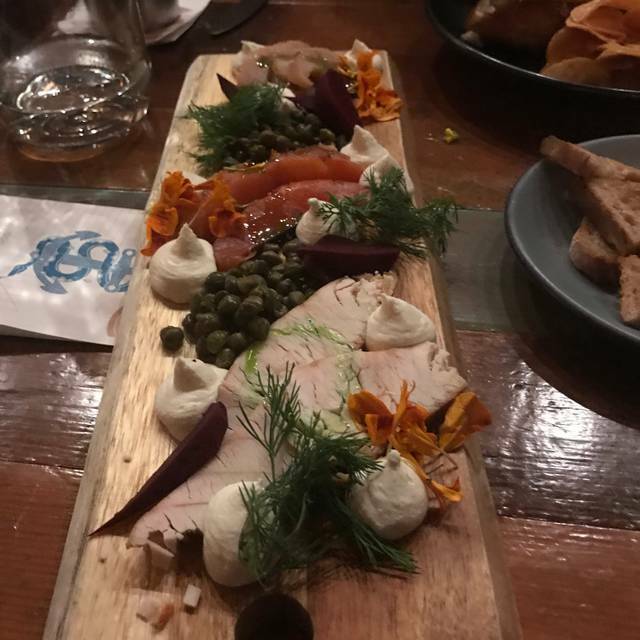 & we also ordered the charcuterie board that was wonderful to eat with our steak. Not a place for wine, but excellent beer selections. Mostly a beer bar, but they have some pre-made cocktails that quite good. The food is nice as well, but it's a small menu. Good sharing plates. We had their sous vide steak and sous vide duck with a cherries. Both were delicious and probably the best prepared duck we'd ever had. It was our best meal in Seattle.